The four-year-old lawsuit, which was little more than a desperate attempt at remaining relevant, has finally come to the definitive end we all knew it would. Take-Two and Rockstar Games were sued by Lindsay Lohan over a character in Grand Theft Auto 5 who she alleged was based on her likeness and used without her agreement. The suit was tossed out time and again, but the former star kept pushing. This nonsensical lawsuit was first filed a few months following the release of GTA 5 in 2014. 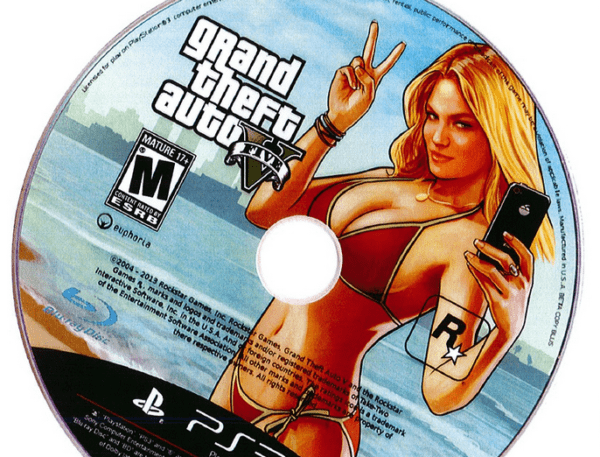 The lawsuit was centered on the in-game character Lacey Jonas, who is a popular Los Santos celebrity, actress and singer. The character also appeared on a frequently used piece of promotional art depicting her on the beach, in swimwear, with an iFruit phone. This key art appeared on posters, and printed on the disc of the game’s console versions. The suit was rejected several times in the past with Lohan’s lawyers being sent back time and again by their client to exhaust every legal venue possible. The initial 67-page lawsuit traveled through the whole New York legal hierarchy landing in the Court of Appeals, which is the final stop – if it gets rejected here, it’s gone for good. Beyond claiming that the character used Lohan’s likeness, clothing line and personal history, the suit also claimed that the in-game version of Chateau Marmont called Gentry Manor in GTA 5, is also associated with her simply because Lohan had once resided in the real-world counterpart. The burned-out former celebrity was joined by TV actress Karen Gravano in their lawsuits against Rockstar for using their likenesses without permission, but Gravano’s case was dismissed even sooner, and she was less persistent. What makes this lawsuit even more nonsensical is that the true basis of the character, Shelby Welinder, has been known publicly all along. Beyond this simple fact, the manner in which the law handles these cases also stood in the way of Lohan getting what she wanted. Under New York law, all recognizable likenesses, not just actual visual recordings of individuals, are protected, thus technically if a court accepted that Jonas looks like Lohan she may have won against Take-Two. But! Also under New York law, depictions in video games are not considered advertisement or trade, so even if the court accepted that there is a recognizable likeness, the case still would have been dismissed. However, the final dismissal by the Court of Appeals has brought about some lasting change. The court, based on the appeal, has concluded that a depiction of a person in a video game without said person’s agreement would be an offense, however there is no recognizable likeness between the character Lacey Jonas and plaintiff Lindsay Lohan, thus the case was dismissed. Finally, this painfully long and utterly pointless legal tug of war is over, and it ended precisely how everyone knew it would, and Lohan will no longer weasel her name into news headlines riding on the wave of GTA 5’s popularity.